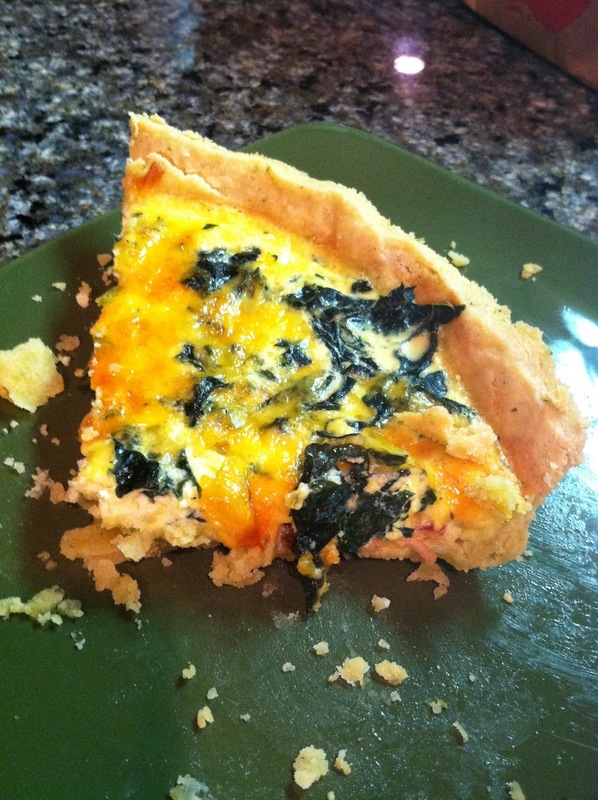 This is my favorite recipe for quiche crust. 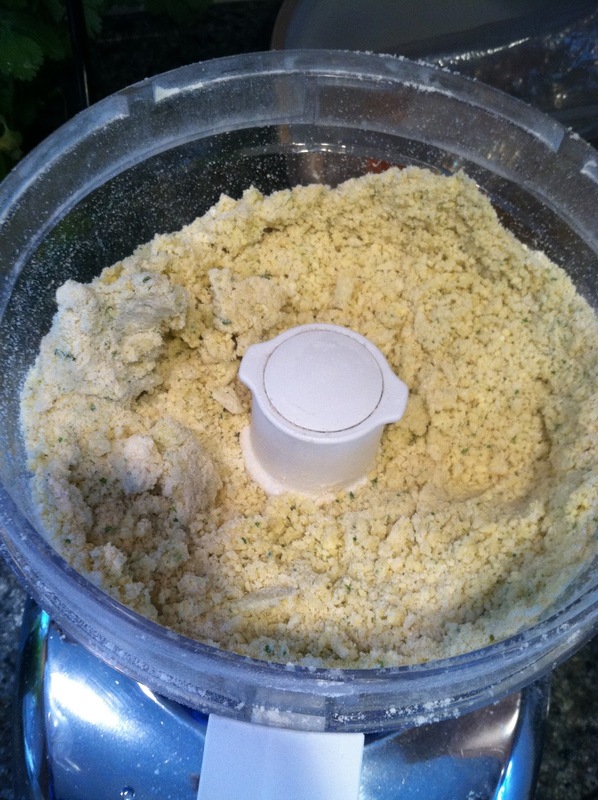 It’s just a pie crust, and you use a food processor so it couldn’t be easier. 1. 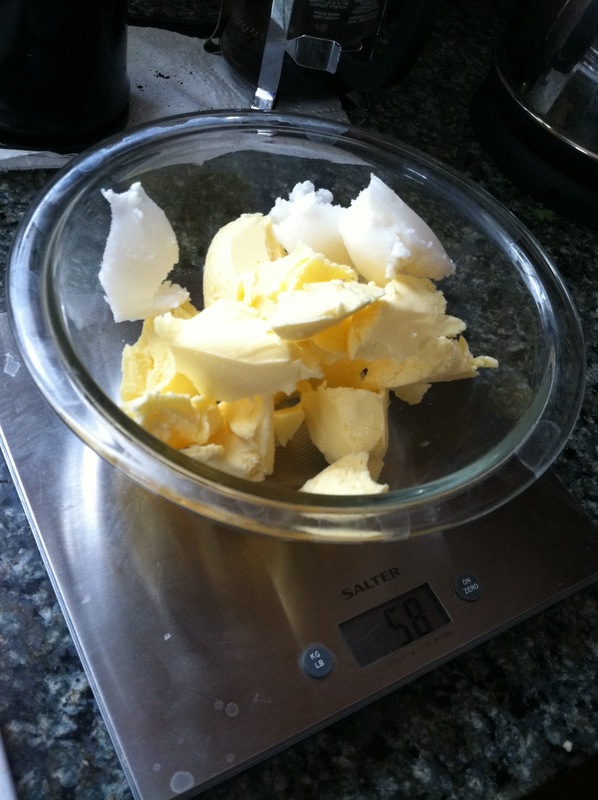 Measure out your butter and lard into a bowl and put in the freezer to get it cold. 2. 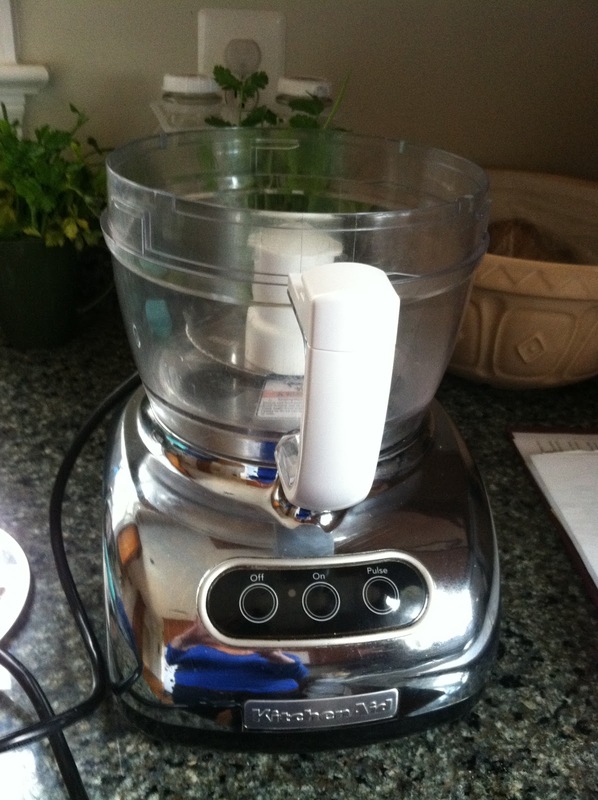 Take your food processor. 3. Pour in the flour and salt and pulse to combine. 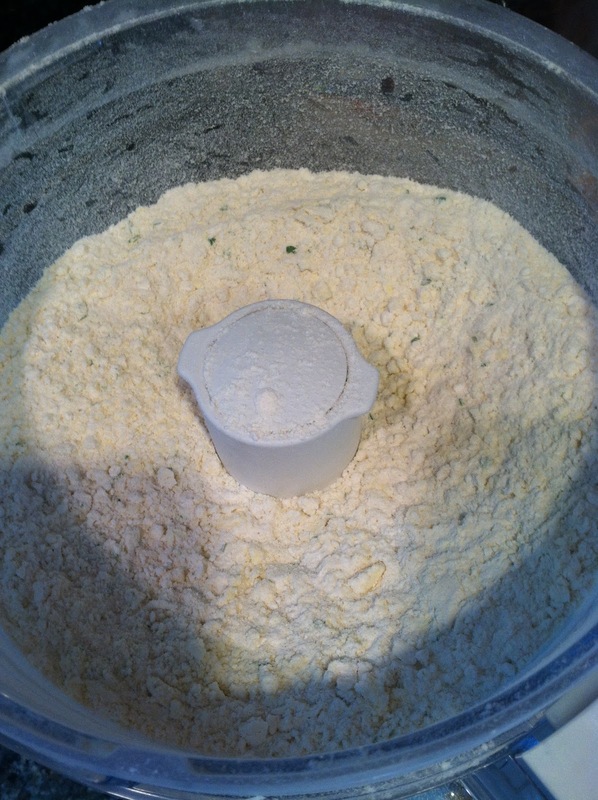 Take your cold butter and lard and add it to the flour. 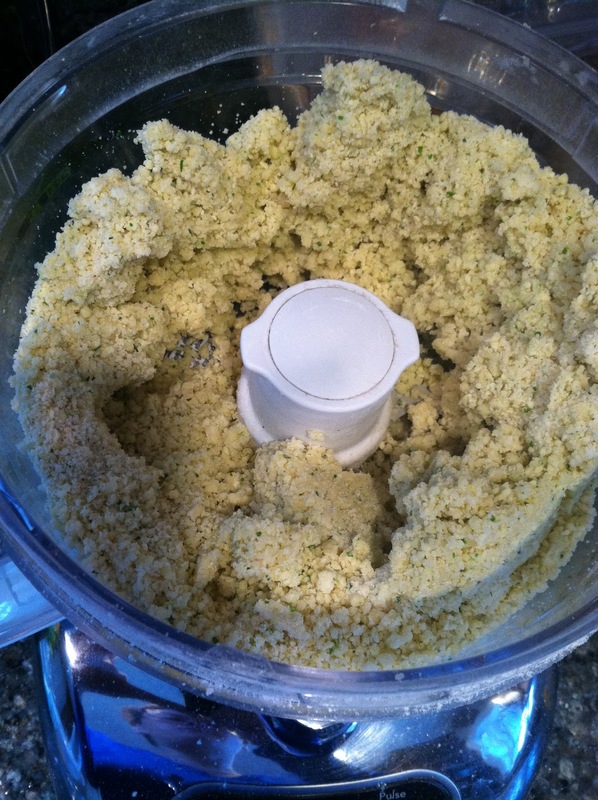 At this point you can also mince up some fresh parsley and add it too. Pulse until it forms small crumbs. 4. 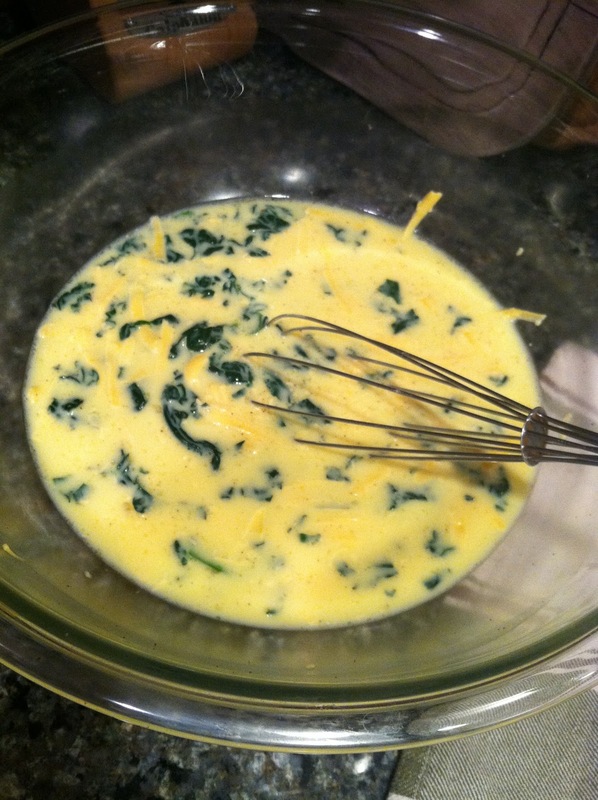 Add the ice water, a spoonful at a time, pulsing between each addition. The dough will slowly come together. First it will look like this, but keep adding more water. 5. You want it to look like this. 6. If you can take your fingers and squeeze it into a dough between your fingers, it’s ready. Pour the dough out onto your countertop and form into a ball. Cover tightly with plastic wrap and refrigerate for about 30 minutes. 7. 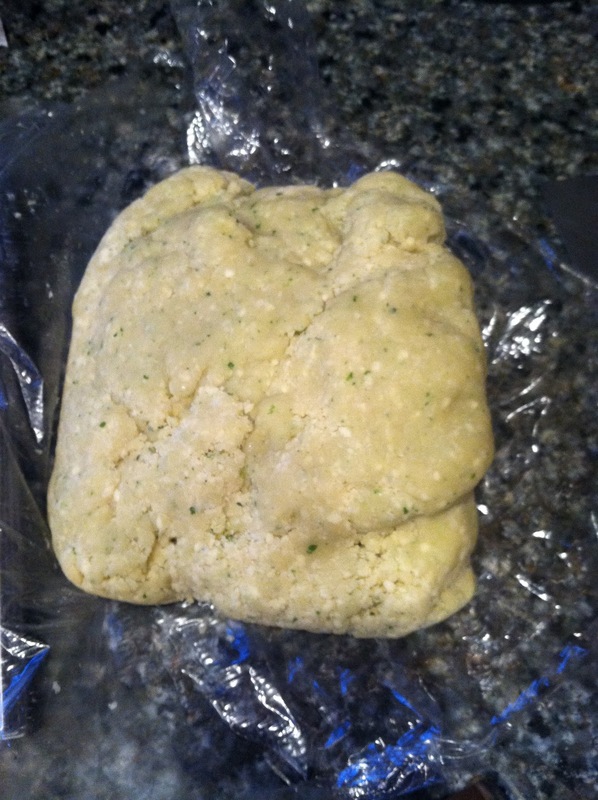 Take your dough out of the refrigerator and remove the plastic wrap. 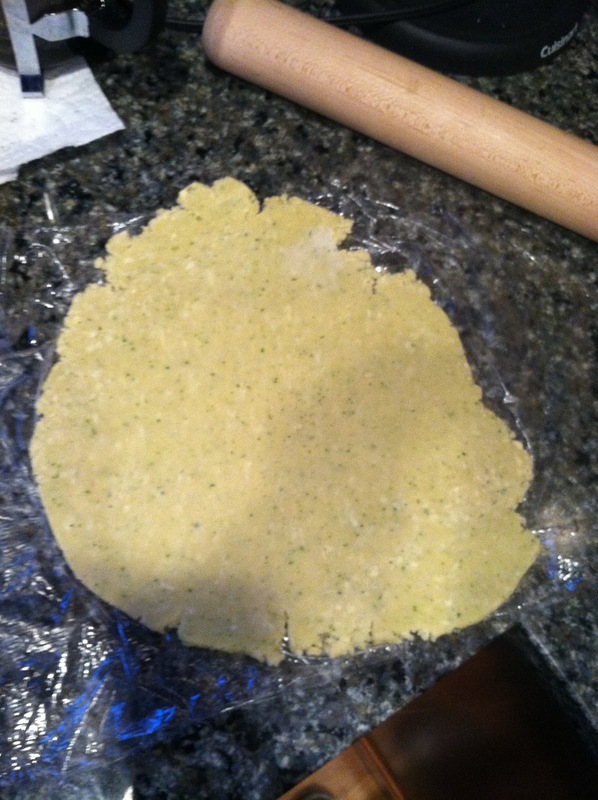 Using a rolling pin, gently roll the dough out. You don’t need to roll it thin; you will use your fingers to spread the dough into the pie pan. 8. 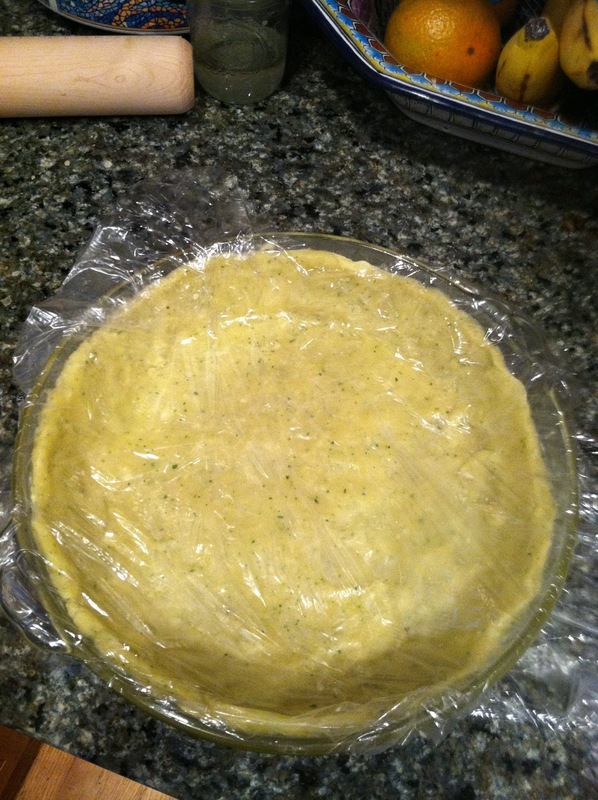 Gently move the dough to a greased glass pie pan. Using your fingers, push the dough out and up the sides of the pan. Cut off any overhanging pieces. Cover with plastic wrap and refrigerate while you preheat the oven to 435 degrees F.
9. Take the dough out of the fridge and remove the plastic wrap. Poke the dough a few times with a fork. 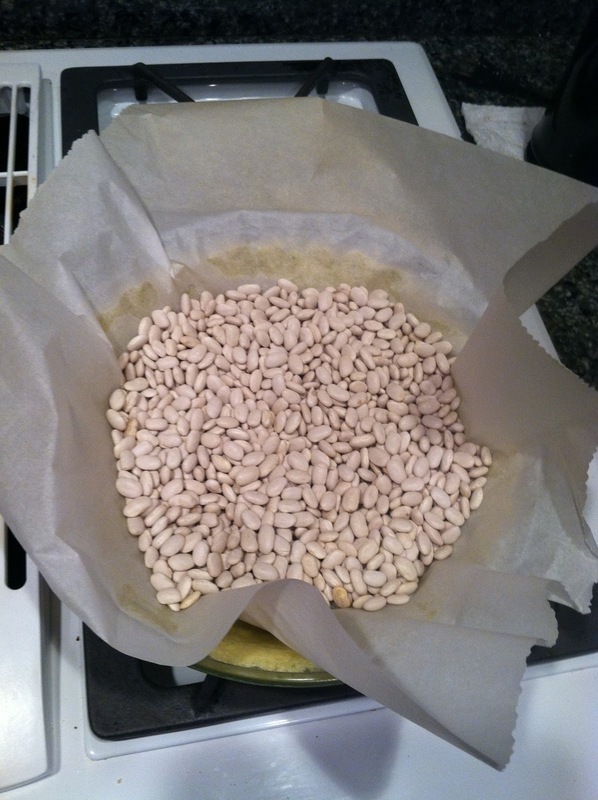 Place a piece of parchment paper over the dough and fill with uncooked beans or rice. 10. Bake the crust for about 7 minutes, then turn the oven off, remove the parchment and beans, and let the crust sit in the oven to dry out until you are ready to fill it. 11. Meanwhile, mix up your filling. We used kale and bacon, but you can use anything with this all-purpose crust. 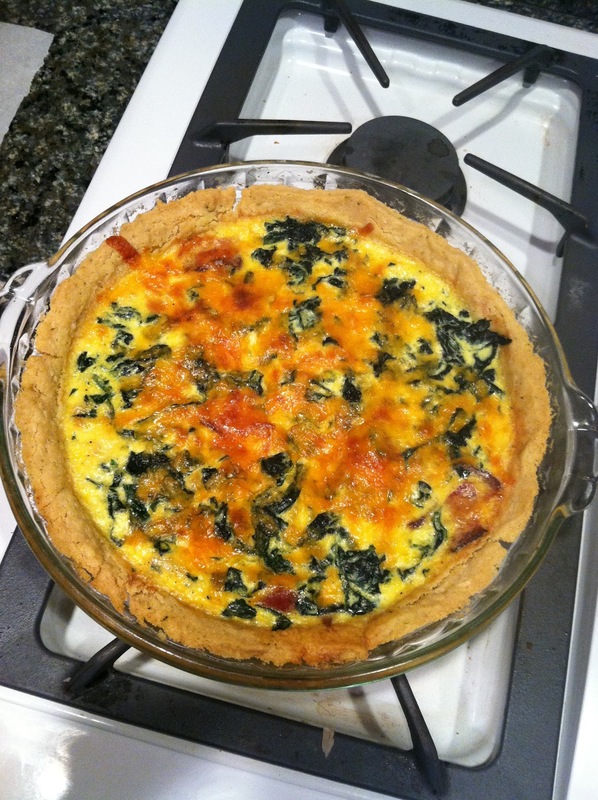 We like Julia Child’s basic quiche recipe, shown here. Bake for about 30-40 minutes, depending on your oven. 12. Nom nom. Delicious! This crust is so basic that you can use any filling, and you can spice it up with spices, herbs, or other seasonings.